The copper wheat penny was minted from 1909-1942 in America. Available heads or tails (see options). 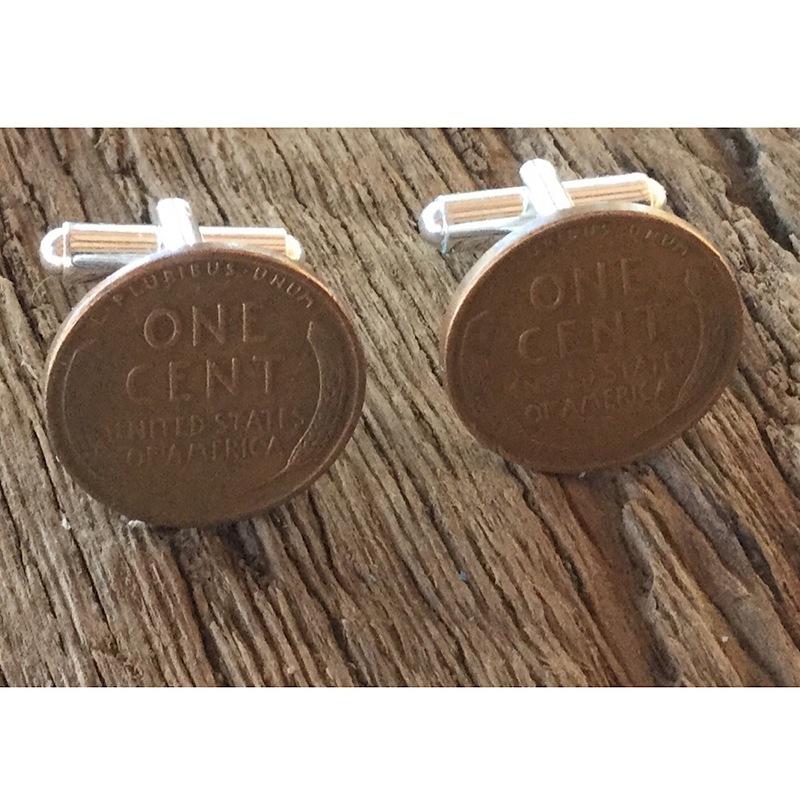 These coin cufflinks can be made from your coins for $16 a pair.These handcrafted coin jewelry cufflinks are made in the USA.